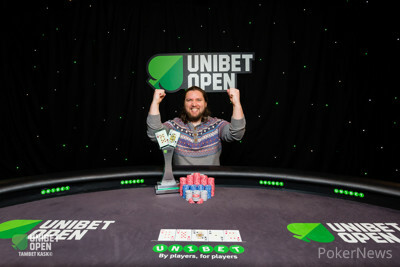 Van Lancker became the second Belgian to ever win an Unibet Open event, following in Filip Verboven‘s footsteps who won Unibet Open Prague in 2012. On top of the prestige, Van Lancker received a massive first prize of £71,950 to boost his bankroll. The day started off with 13 hopefuls, but the field was quickly whittled down to 10. Portugal’s Fabio Miranda was the first to go. With his last few blinds, Miranda ran king-deuce into the ace-jack of Foord-Brown and didn’t improve. Miranda received £5,470, which was the same amount Tamer Kamel received. The accomplished pro, with over $1 million in lifetime winnings, shoved ace-nine into pocket aces and headed for the rail in 12th place. At the final table, Van Lancker quickly doubled up with pocket queens against Foord-Brown’s pocket nines. Shortly thereafter, Martin Gallagher was the first to bust. The British plumber couldn’t get away from pocket jacks against pocket kings and received £7,010 after failing to improve. Spain’s last hope, Manuel Bardon dropped in eighth place with queen-jack against ace-king, followed by Germany’s Kevin Barden in seventh. Barden was super short and had to go for it with jack-ten. He ran into ace-king and didn’t find his outs. Another notable player succumbed in fifth. It was Bhavin Khatri, who’s second deep run in two years led to another final table. Last year, Khatri finished second behind winner Dave Shallow. Khatri’s final hand was a classic: aces versus kings, but unfortunately for the tennis academy owner, a king flopped to send him packing. Van Lancker was the one with kings in that hand and he won another big hand against Foord-Brown in a flush-over-flush situation. The Brit never recovered from that and busted in fourth with queen-seven against Van Lancker’s ace-ten. The Belgian started the heads-up with a 4 to 1 chiplead and whittled down his opponent Govedic even more. The Slovenian decided to make a stand and tried to turn things around by shoving all in with jack-five but Van Lancker called with jack-ten. On an ace-high board, Van Lancker’s ten-kicker played to make him the second Belgian winner after Filip Verboven’s 2012 victory in Prague. That’s all from The Poker Room in the Grosvenor Victoria Casino in London, affectionally known as ‘The Vic’. The first stop of the jubilee 10th season was brimming with action, excitement and joy all around. 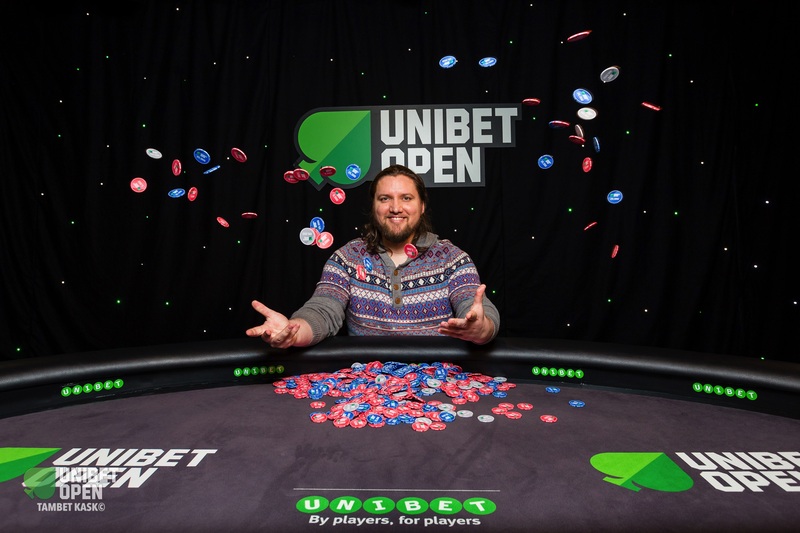 Join us next time in Copenhagen from May 25 – 28 when PokerNews will bring you all the action from the next stop of the Unibet Open!